A selection of detritivores and algae eaters, especially conceived by our experts, in order to thrive in a Nano aquairum. Working and complementary species in reduced size when adults, they ensure the maintenance and balance in your aquarium. 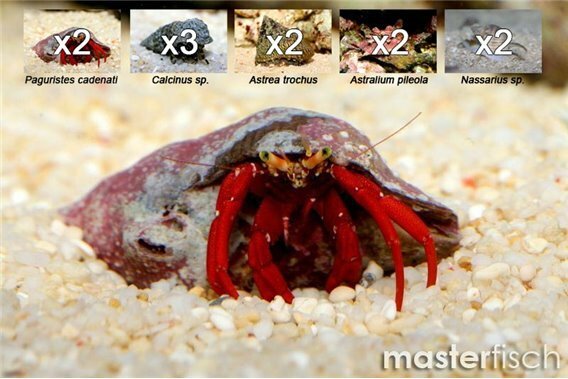 - 3x Hermit crab (Calcinus sp.) S : Very efficient for maintaining and neutralizing various waste from other residents of your biotope. - 2x Red reef hermit (Paguristes cadenati) M : A beautiful Caribbean hermit very useful in fighting against undesirable algae. 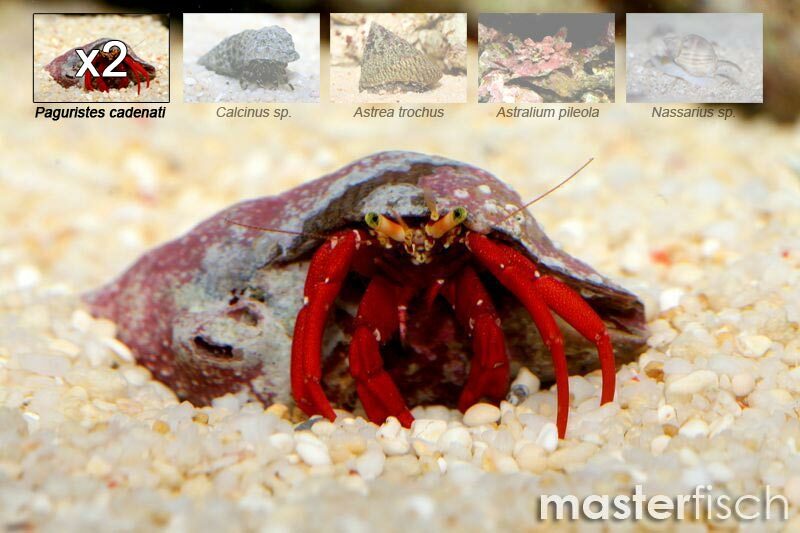 Only 3cm long when reaching adulthood, this hermit is a must for ensuring the maintenance of your Nano aquarium in the long term. 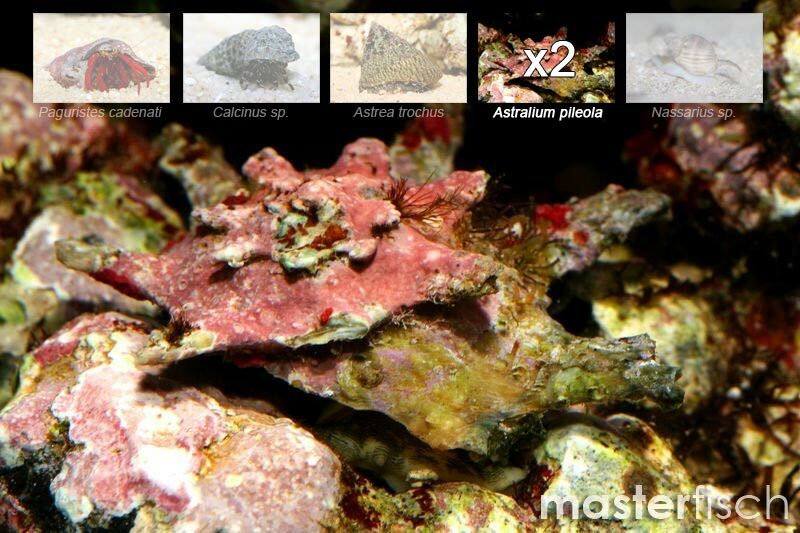 - 2x Star snail / Turban snail (Astrea trochus) SM : This snail ensure the maintenance of your Nano aquarium. Its action allows to efficiently control the growth of undesirable algae that could disturb or endanger the development of invertebrates and corals. 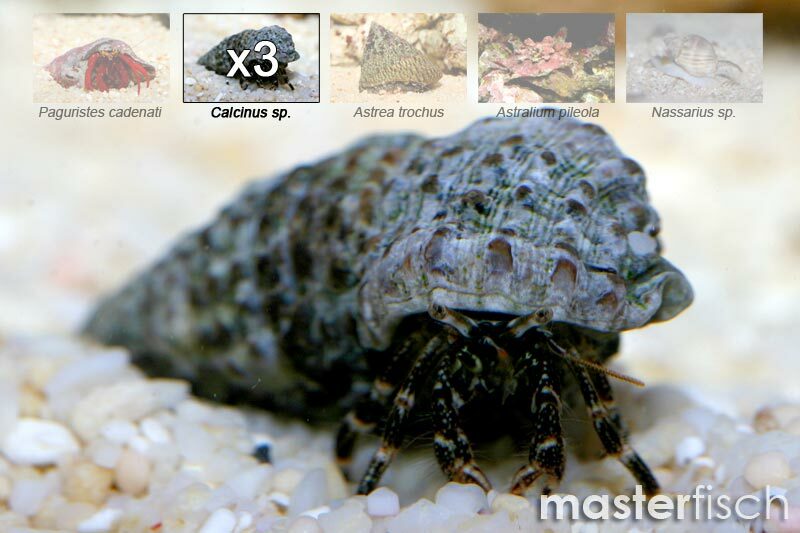 - 2x Rosemouth star shell (Astralium pileola) M : This snail ensure the maintenance of your Nano aquarium. Its action allows to efficiently control the growth of undesirable algae that could disturb or endanger the development of invertebrates and corals. 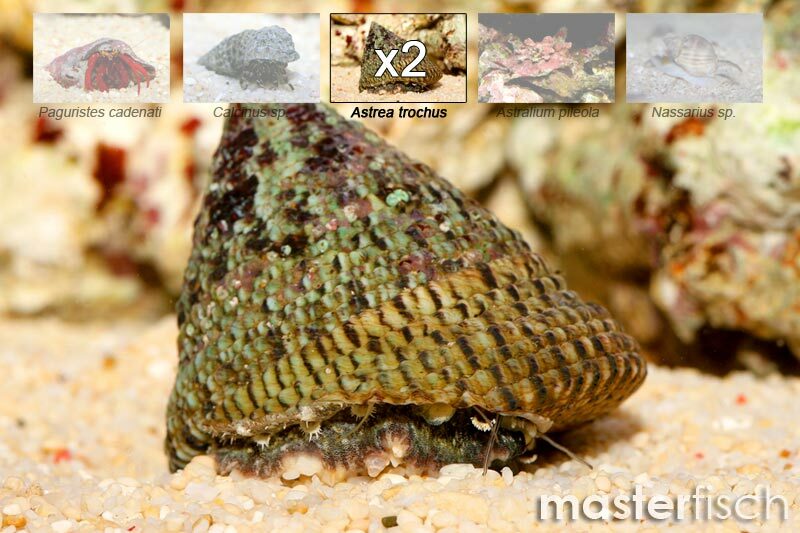 - 2x Nassa snail (Nassarius sp.) 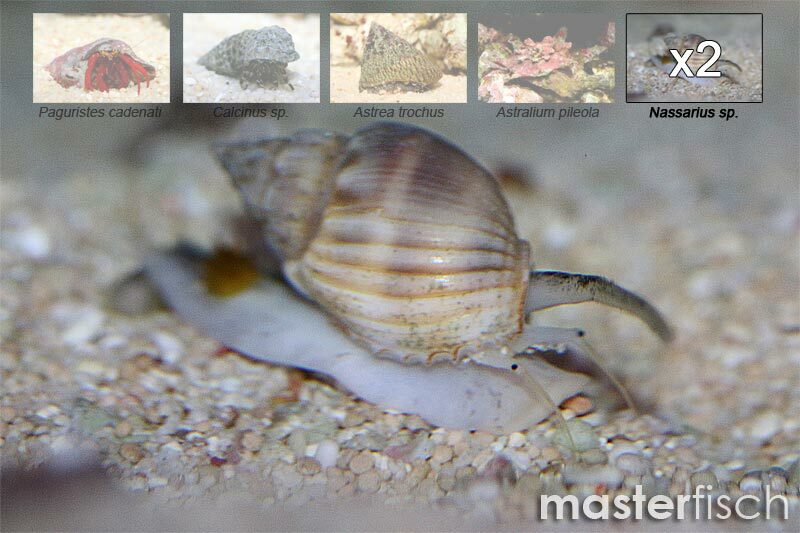 M : This snail ensures the cleaning of your sand layer without disturbing your biotope. 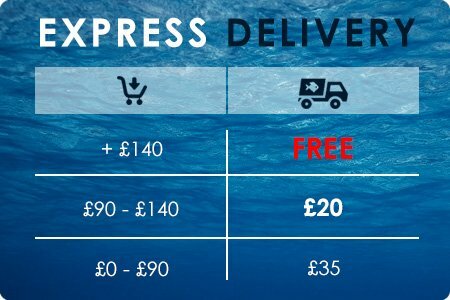 Its action is very important and its adult size of 3cm allows it to always remain compatible to the needs of your Nano aquarium.